Chances are you've skipped over it on a map countless times. 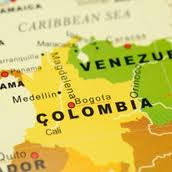 But my Hottest Destination Tip for 2012 is the still relatively undiscovered South American country of Colombia. Despite its troubled past, Colombia has made huge strides in reviving its tourism industry. Foreign airline passenger arrivals have doubled over the last decade reaching more than 2 million last year. For intrepid travellers, Colombia offers a huge range of holidays, activities and landscapes. Its mountains, rivers, jungles and rainforests are a wildlife enthusiast's paradise, while its city's colonial architecture and booming coffee industry offer something truly unique for culture vultures. From modern cities with skyscrapers and nightclubs to Amazon safaris, mountain trekking and whalewatching, there's more adventure here than you can shake a stick at. If you're just as keen to fly and flop, Colombia's idyllic coastline and islands boast some of the most pristine beaches this exotic continent has to offer. And while in recent years Colombia has received plenty of press for the wrong reasons, the biggest rebel group (FARC) has recently announced an end to kidnappings and a desire to open up discussions aimed at ending the 48-year-old civil conflict. Aimed at coffee connoisseurs, DialAFlight is offering seven nights accommodation on a mixed-board basis in Colombia from £1549 ($2434) per person. Valid for selected departures until 24 May, the price includes flights to Bogota with Iberia (via Madrid), boutique accommodation, guided coffee tours, internal flights and transfers. Beginning in Bogota, the vibrant Colombian capital, enjoy three nights in the arty Hotel Casa Deco and take advantage of a free tour of the city. 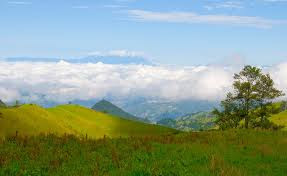 Next, hop over to Manizales to begin a fascinating four-day coffee tour. Staying in boutique haciendas each night, dine on local specialities surrounded by dramatic mountains, lush coffee and yucca plantations and soak up the rural atmosphere of the stunning countryside. Take guided tours of coffee fields and factories, learning about everything from the planting and picking to the toasting and tasting of the beans which keep this country ticking. For white sand beaches surrounded by coconut plantations, dream-worthy diving around pristine coral reefs and laid-back Caribbean days sipping coconut water in the shade, hit the rustic Colombian Caribbean islands. 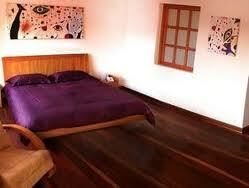 DialAFlight is offering the ultimate beach break in Colombia on a bed and breakfast basis from £1599 ($2512) per person. Valid until 31 May, the price includes five nights at Hotel Sirius on Providencia, two nights at Hotel San Luis Village on San Andres, flights to Bogota with Iberia (via Madrid), internal flights and transfers. 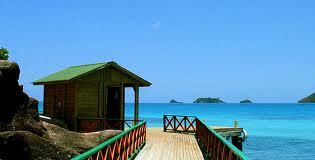 A world away from the bustle of Colombia's main cities, life on the coast is relaxed. 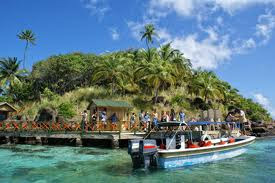 On this trip spend two nights on San Andres admiring the bright wooden houses before hopping by plane to the mountainous islands of Providencia, packed with dramatic waterfalls ramshackle towns and excellent diving opportunities.